As one of the infamous Seven Summits, Aconcagua stands as the highest mountain in South America. In fact, it is the highest mountain in the Western Hemisphere reaching an impressive 22,841ft/6,962m. 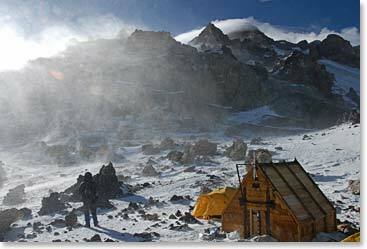 The 2012 Berg Adventures Expedition Team will spend three weeks in Argentina in the hopes of reaching the mountain’s summit. The mighty mountain can provide a rigorous and rewarding introduction to the demands of expedition climbing and our team is ready for the challenge. Follow along as the team quests for the top of the America’s.